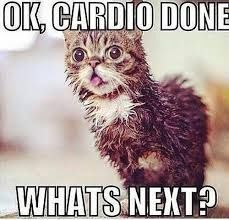 Today's challenge is cardio! Do what you like, whether it be walking, running, or dancing. Just DO it! You know it'll make you feel awesome! Have a great day!! !